Photos by my amazing friend and OutsideTheCerealBox supporter Bridget. Cook a pound of fettuccine (I used whole wheat). Keep in mind this pasta won’t have additional cook time in the sauce so cook it like you mean it. 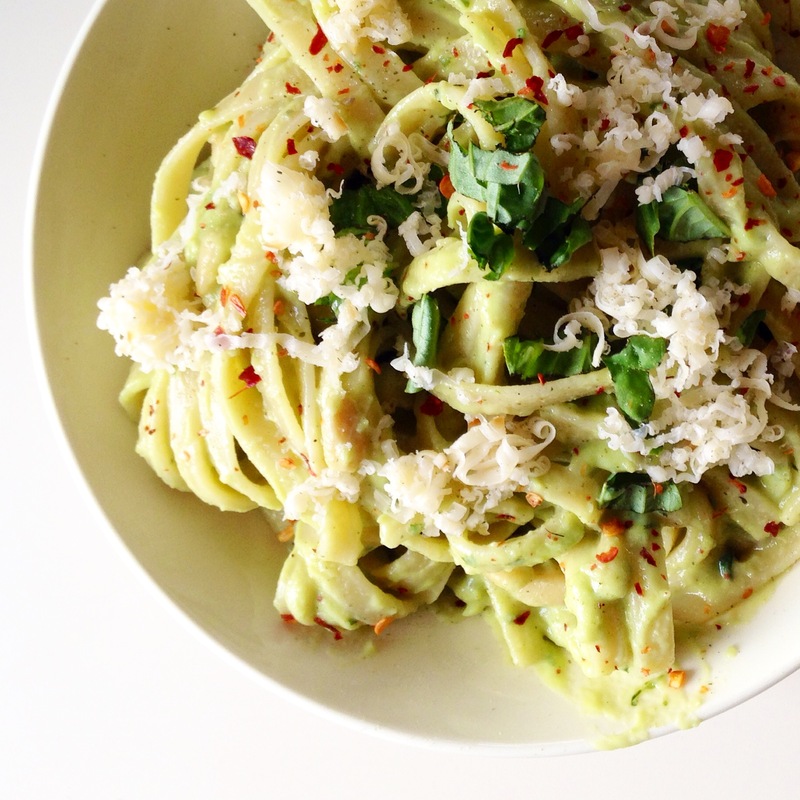 Save some of the pasta water. 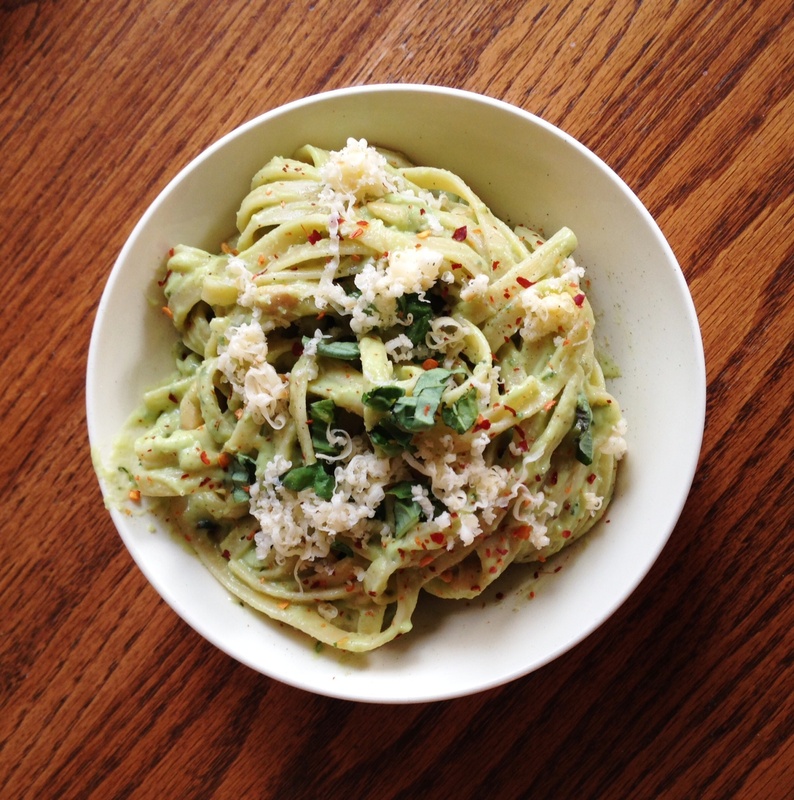 Puree two avocados, 1 large garlic clove and the juice from half a lemon in a food processor until smooth. Add 0.5 cups of milk (I used two percent). You want this to be as smooth as possible. I had a hard time caring about making it smooth since I was starving and more focused on getting this pasta in my trap but hopefully you are more patient than me. 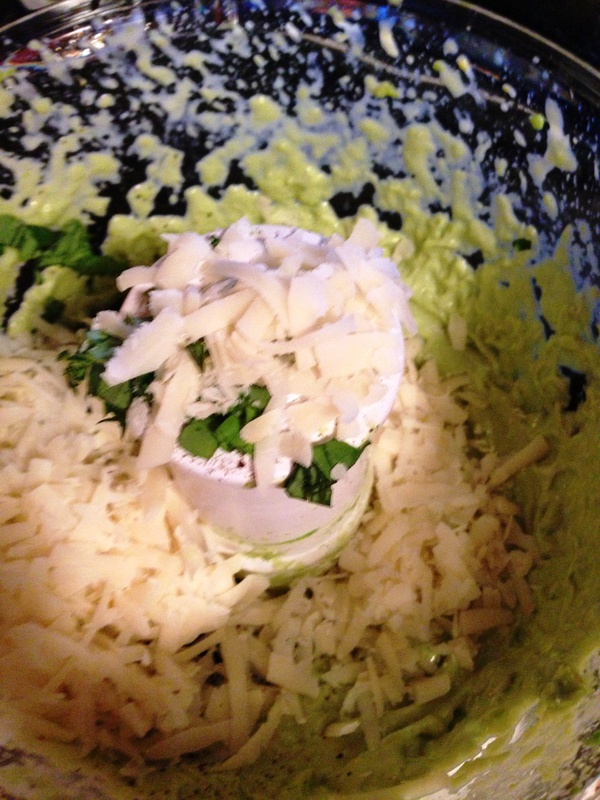 Add 0.25 cups chopped basil, 0.75 cups of gouda and salt/pep to the sauce in the food processor. Puree. Add the sauce to the pasta. Add pasta water as needed to thin out the sauce. Mix in 0.5 cup of pine nuts (saving some for garnish). Garnish with red pepper flakes, pine nuts and basil. 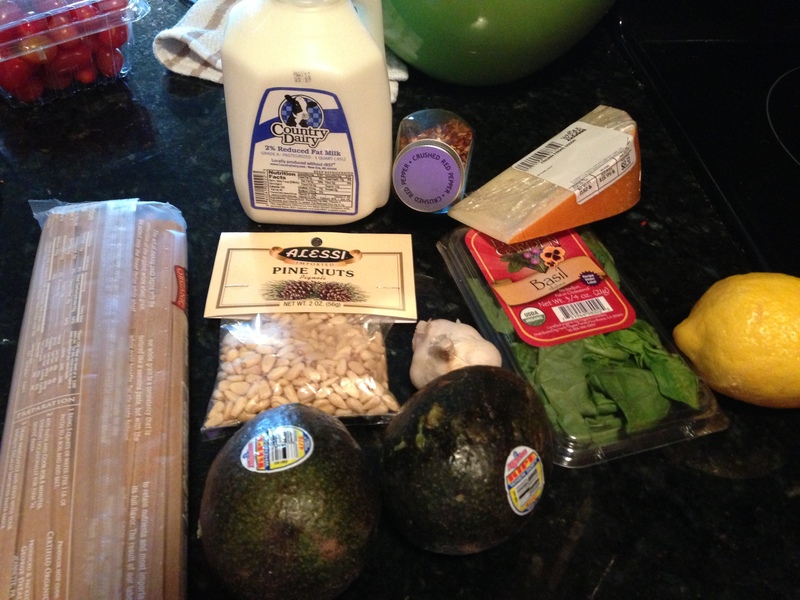 This was my little avocado fix on Cinco de Mayo slash I’m always trying to get more green in my life. 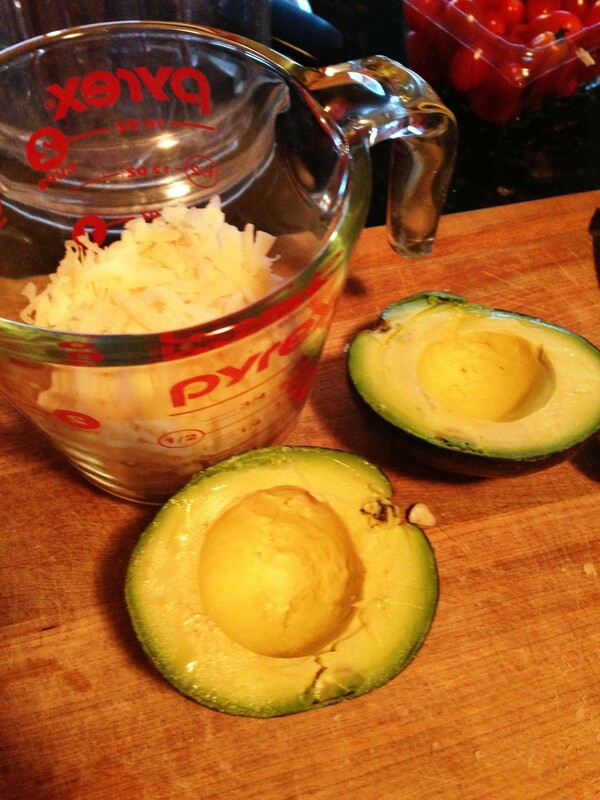 Note: this will turn brown from the avocados so serve right away. This should in no way keep you from eating the leftovers. It definitely didn’t with me. This is so healthy and sounds yummy.